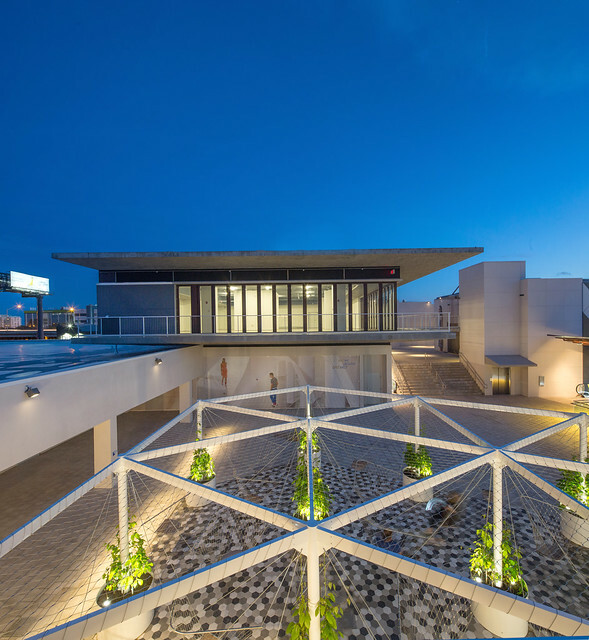 The Design District Event Space is a multi-functional 5000 square foot space to host the neighborhood’s events. Perched above all the buildings with a commanding view of the district, the space is defined by two cantilevered slabs between which all functional elements are sandwiched. The slabs are formed into a decorative relief mold, a nod to the tropical modernism in Miami’s historic architecture. Finally, a custom system of folding Merbau hardwood doors retract completely to create a seamless outdoor environment only possible in Miami. All together the building’s bold structure, floral decoration, and airy openness combine to make a uniquely Floridian space.